Carpeting is still the most widely used flooring material. The benefits of selecting good quality carpeting are many. For example, carpets can make a measurable contribution in retaining the warmth of a room, offering energy savings as well as comfort. Additionally, carpeting is excellent for sound insulation. Most importantly, carpeting can add color, beauty and elegance to your home, increasing your everyday living enjoyment as well as the value of your home! We carry an extensive collection of name brand Patterned, Cut Berbers, Stair Runners, Trackless, and Sculptured Carpeting. With seemingly limitless possibilities, there is virtually nothing you can think of that we can't create! Adding borders and patterns can make a big difference to the look of your home. 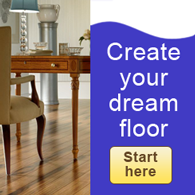 Browse through our flooring gallery to see ideas, then contact us and let us help you to create your dream room today.